Bicsi established its credential programs to provide a level of assurance to the industry and to consumers that an individual has knowledge in a designated area of information technology systems (ITS) design or installation. Our professional designations are valued internationally and are recognized throughout the ITS industry. Industrial Electric holds several licenses in the markets in which we do business. The Indiana Construction Roundtable, Inc. (ICR) is a nonprofit organization which serves the construction consumer in Central Indiana, with the assistance and input of all members of the construction team. 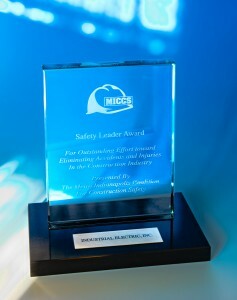 View our ICR workforce success story at http://vimeo.com/50302667. Industrial Electric, Inc. is a member of the Indiana Subcontractors Association (ISA). ISA was established in 1964 to focus on leading trade contractors to improve the business environment for the construction industry. National Electrical Contractors Association (NECA) is dedicated to enhancing the electrical industry through innovative research, performance standards, progressive labor relations, and workforce recruiting. As a NECA contractor, Industrial Electric, Inc. strives to be true construction partners with building owners, developers, and general contractors. Our company is the best resource for any and all electrical needs, including power supply, fiber optics, telecommunication, security systems, wireless networks, and lighting. William Lamkin, President of Industrial Electric, Inc., serves on the Board of Directors for NECA. 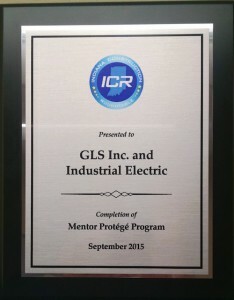 Electric League of Indiana (ELI) serves as a statewide umbrella organization whose purpose is to advance the interests of all segments of the electrical industry in Indiana. James Kramer, VP of Business Development for Industrial Electric, Inc., serves as a Board Member for ELI.